New. 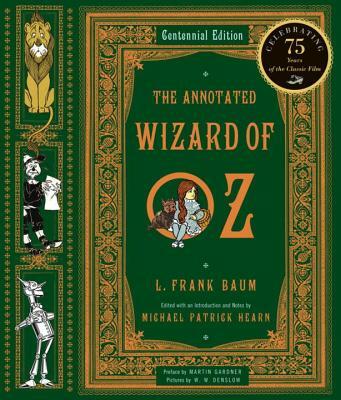 In celebration of the 100th anniversary of its publication, a beautifully illustrated annotation of? The Wizard of Oz? , complete with an exact reproduction of the original 1900 edition. Illustrator(s): Denslow, W. W. Series: The Annotated Books. Num Pages: 544 pages, 146 illustrations, (56 colour ) bibliog. BIC Classification: 1KBB; DSY; YFA. Category: (G) General (US: Trade); (P) Professional & Vocational; (U) Tertiary Education (US: College). Dimension: 261 x 224 x 6. Weight in Grams: 1444. 2000. Annotated Ed. Hardcover.....We ship daily from our Bookshop. Fair. May have some shelf-wear due to normal use. Dust jacket not included. Very Good. 0393049922 Very Good Condition-May show some limited signs of wear and may have a remainder mark. Pages and dust cover are intact and not marred by notes or highlighting. Tracking is not available for orders shipped outside of the United States.